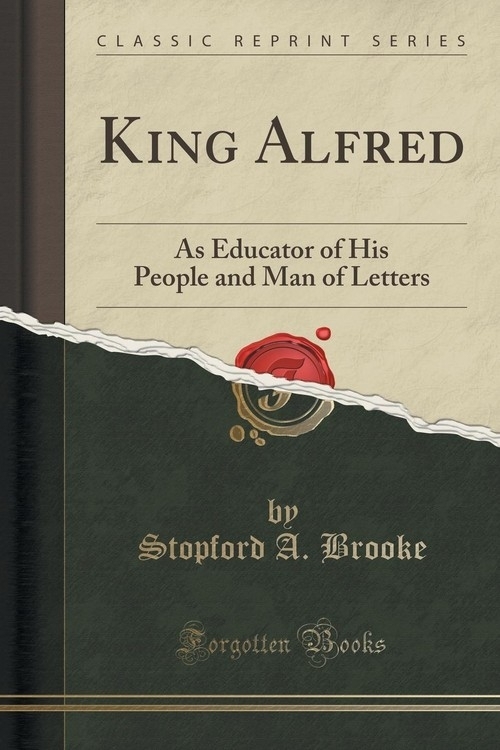 Opis: King Alfred - Brooke Stopford A. The little treatise on King Alfred which follows this Preface is taken from a book of mine on Early English literature, and is one of its chapters. It is chiefly concerned with the king's work as an educator of his people, and as a man of letters, but it also dwells briefly on him as the ruler, the lawgiver, the warrior, and the statesman. No doubt, Alfred's lofty character is seen most clearly in the work he did both in war and peace; but there is an inner life of thought and feeling in public men of which the world sees little; and this, which in Alfred was sorrowful, sensitive, humble-minded, and profoundly religious, appears in the additions he inserted into the translations he made of Latin books for the instruction of his clergy, his nobles, his people, and for his own private pleasure. The style too in which he wrote - childlike, at times, in its simplicity and sincerity, and marked by an individual navete - is also a revelation of the way in which his mind and spirit worked together. Some of these personal additions to the originals I have placed in the following chapter, and others have been placed in the Appendix, which consists of passages selected and translated from most of the books Alfred put into English. These have been done, and the whole thrown into its present form, by Miss Kate Warren. She offered to do this work, and it is entirely her own. Her translations have been made with intentional literalness, in order, if possible, to give in modem English some resemblance to Alfred's style. Szczegóły: King Alfred - Brooke Stopford A.
Recenzje: King Alfred - Brooke Stopford A.